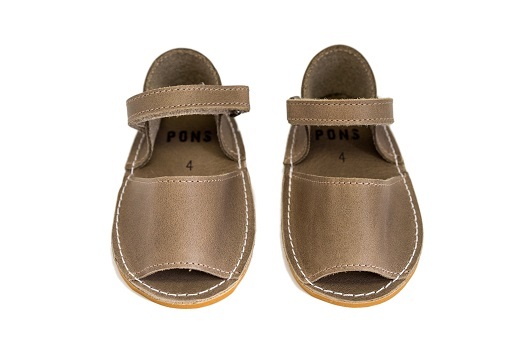 Our Little Frailera Pons Avarcas for Kids in Taupe are the perfect pair for babies to toddlers learning to walk. 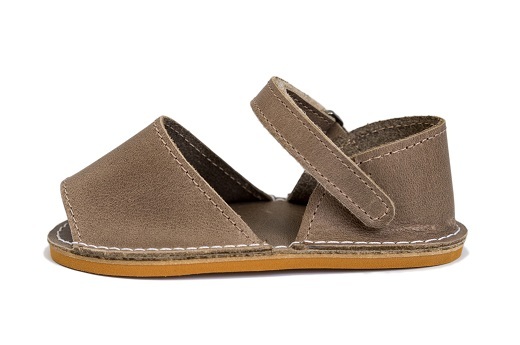 Easy to slip on and a classic color that goes with every outfit on a little boy or girl, these little kids Avarcas are handmade in Menorca with high quality butter-soft leather, have a lightweight, flexible slip-resistant sole as well as a small adjustable buckle closure. This style runs true to US size with standard widths. Most of our half-size wearing customers find success choosing the smaller of the two sizes they are in between. We recommend comparing your foot measurement with our sizing chart to make the best choice. 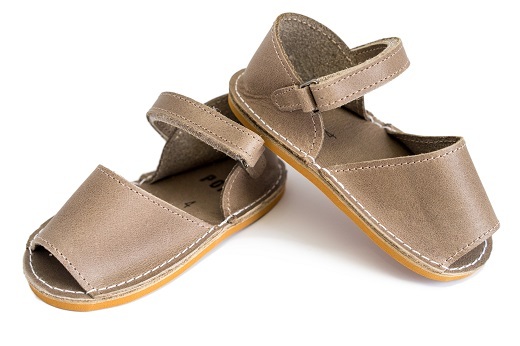 Pons shoes are handmade with natural leather and they will stretch slightly as you break them in. USPS First Class, avg. 6-10 business days with no tracking number. To Canada, $5 flat rate and $5 for each additional item. To the rest of the world, $10 flat rate and $10 for each additional item. AvarcasUSA.com accepts exchanges and returns within 30 days from the shipping date. We can only exchange/return unworn products purchased from AvarcasUSA.com. We do not refund or reimburse shipping cost.